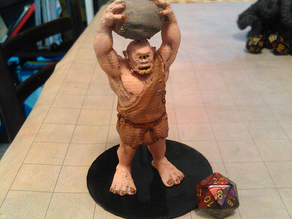 Had some issues with the supports between his head and the boulder. I ended up breaking the arms and gluing them back down to make it work. It looks fine now, but it was a little disappointing.